Vanessa's Values: The Garden Project 2013: How Does Our Garden Grow? 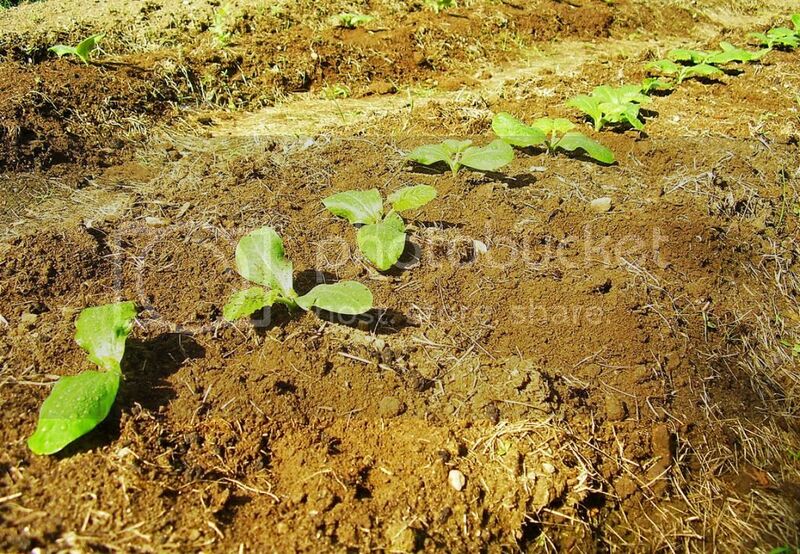 The Garden Project 2013: How Does Our Garden Grow? I think I can be considered an official putterer. I can be found puttering in the garden no less than 2 or 3 times a day to check on progress and pull a weed or two. It has surprisingly become one of my favorite hobbies. We have had some disappointments in the garden. Only a few bean and peas came up. I think this may have something to do with my planting technique. The squash seedlings that we planted also don't seem to be doing well. One plant died and the others haven't grown much at all. We have had some success though! 1. 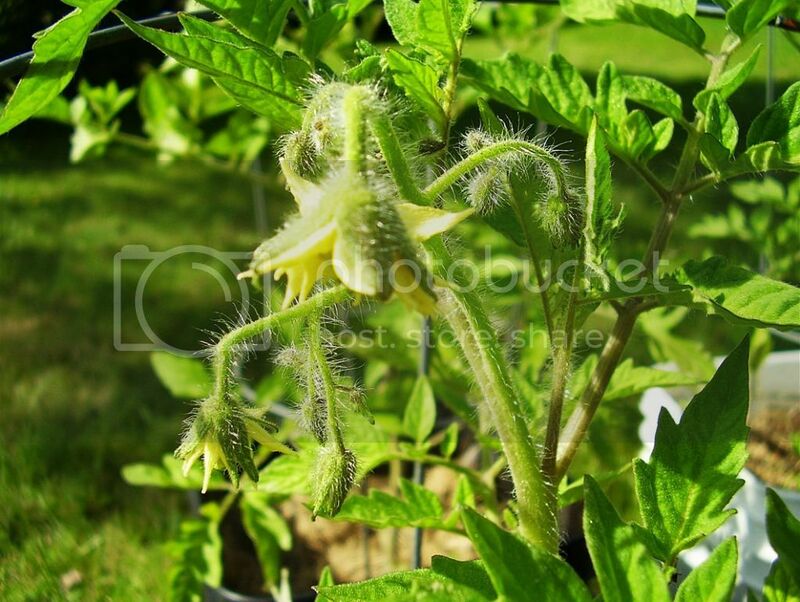 Tomatoes do not need a lot of water, just moist soil. In years past I was drowning my tomato plants by watering them every day. Yes, every day. I've also learned that this was why our tomatoes always had ugly cracks in them. Now, I check the soil for moistness before watering. 2. Water the soil, not the leaves. This prevents the leaves from getting scorched and also makes sure the water gets to where it's needed--the roots. 3. Use mulch. This year I used grass clippings as a mulch. It keeps moisture in the soil longer and also helps protect the soil while I am watering. Watering without mulch disturbed the soil and caused the roots to become uncovered. What a difference the mulch has made! 4. Prune. By removing the suckers that grow between the stems and branches, the tomato plants are able to put more energy into producing more fruit. We also have lettuce. A lot of lettuce. I think I may have planted just a little bit too much lettuce. It's not growing as fast as I thought it would and I think I need to thin it a little bit more so that it has more room to grow. I planted a lot of zucchini. It is a vegetable that we very rarely are able to enjoy and I'm hoping for a big harvest. I can't wait to make zucchini muffins and zucchini bread, stuffed zucchini, Vegetable Tian, or throw them in a stir-fry. So far I think they're looking good. I had to thin the zucchini and I tried transplanting them instead of just tossing them. I really hope the transplants survive and produce, but only time will tell. 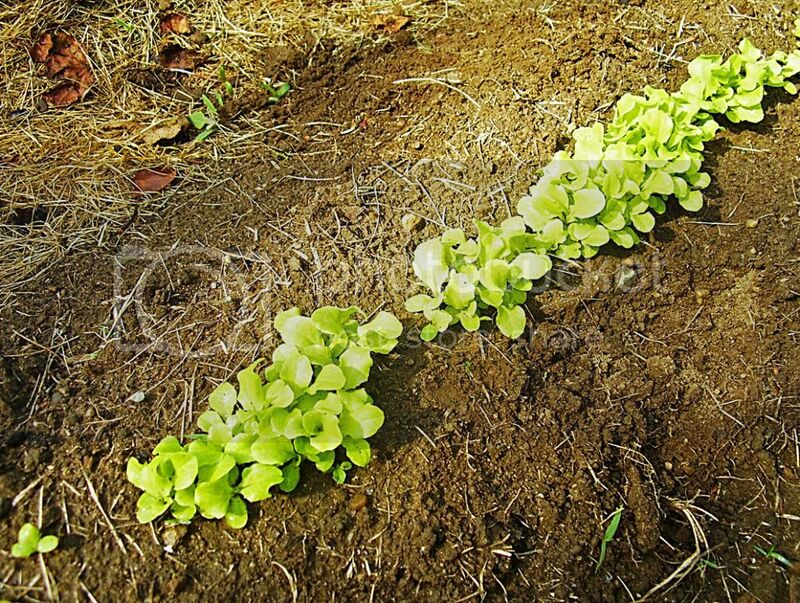 Next year I will do successive plantings of lettuce instead of planting a whole row all at the same time. If the lettuce does well, we will have too much lettuce all at one time. Weeds grow faster than the plants. It is really hard to take good pictures of the garden.